So how do you find a good coffee maker? There are so many options out there that some people might feel overwhelmed when trying to choose the right one. Don’t worry, we are here to solve this problem for you. First of all, you’ll need to decide how much coffee do you want your coffee maker to be able to make. Large 12-cup coffee makers are fine for larger groups of people, but if you all you need is to make a fresh cup before work, they are definitely too much. 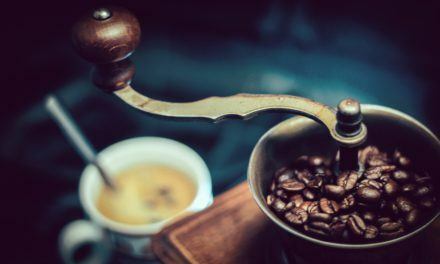 While many of them do have warming plates, coffee only stays fresh for about half an hour and there is no reason to drink stale coffee if you don’t have to. A 4-cup coffee maker is a perfect size if you are usually making coffee for one to four people. Interested to learn more? We’ve tested some of the most popular 4-cup coffee makers and these are our top choices. If you’re looking for a simple and functional coffee maker that doesn’t take up a lot of space on the counter, this one from Mr. Coffee might just be the right choice! It’s only 6 inches wide and 8 inches deep which means you will easily find a place for it even if you have the tiniest kitchen. It might also be a good choice if you need a coffee maker for your office. This 4-cup coffee maker from Mr. Coffee is a regular drip coffee maker and it does its job very well. It’s very reliable and incredibly easy to use. There is just one button – you just need to press it to turn the coffee maker on and that’s it! The carafe is made of glass which is always nice and it includes a handle that remains cool to the touch. This unit comes with a removable filter basket for easier clean-up. You’ll need to buy a filter separately, though. You can get the regular paper filters or opt for a reusable filter. The water tank is transparent on both sides of the unit which is a nice touch and it has marking that show you exactly how much water you have poured in. This coffee maker also includes a non-stick warming plate that will keep your coffee warm for extended periods of time. The Mr. Coffee 4-Cup Switch Coffee Maker is a simple yet functional unit with all the necessary features. It’s also quite compact and easily portable so you can enjoy fresh coffee wherever you are. Cuisinart has been around since 1973 and it’s certainly among the most popular manufacturers of various kitchen appliances. They are known for making functional and durable products and the Cuisinart DCC-450BK 4-Cup Coffee Maker certainly lives up to the reputation! This charming coffee maker is built in accordance with North American Electrical Standards and the plastic parts are BPA-free. The 4-cup carafe is made of stainless steel which means it’s virtually unbreakable and resistant to rust and corrosion. It has a plastic handle that remains cool to the touch and a nicely designed spout that allows you to pour your coffee comfortably without worrying about spills. Furthermore, the Cuisinart DCC-450BK 4-Cup Coffee Maker is only 5 inches wide and 8 inches deep so you’ll barely notice it’s there when you are not using it. It uses paper filters and you’ll get three of those when you buy this coffee maker which is a really nice touch since you can try it out right out of the box. A coffee scoop is also included to make your life even easier! There is a warming plate at the bottom of the machine to keep the coffee warm, but our favorite feature is definitely the 30-minute auto shut-off function. This coffee machine really makes a tasty cup of joe and it’s also one of the quietest coffee makers we’ve seen. This compact coffee maker is a real lifesaver when you are rushing to work in the morning. You just need put the coffee in, press the button on the side and let it do all the work. You can grab a cup whenever you want to thanks to the Brew Pause function. You don’t have to worry about turning it off either since it will shut off automatically after 30 minutes. Overall, a great choice if you are looking for a compact and functional coffee maker for your kitchen or office. Coffee always tastes better when you use freshly ground beans. With this coffee maker and grinder from Viante, they will be as fresh as humanly possible! However, you can also use pre-ground coffee if you prefer. This coffee maker is quite compact, but it’s also packed with features! In the top right corner, you’ll find a dial that you can turn to adjust the intensity of the brew to your liking. It will adjust the coarseness of the grind as well as the brewing time automatically. Furthermore, if you want to make only two cups instead of four, you can set the machine on the medium setting to get a strong brew. What we liked the most is the square design of this machine. It features a stainless steel front panel with a brushed finish that results in a really elegant look. The grinder is right at the top of the machine. It’s a blade grinder with special low-friction blades that keep the temperature low while grinding. Regular grinders tend to heat up while grinding which actually changes the brew profile of your beans, so the low-friction blades are really a nice addition. There is a reusable coffee filter inside the unit. Finally, the water reservoir has a transparent part with markings that let you measure exactly how much water you want to put in (you can make 2, 3, or 4 cups at a time). Grind & brew machines are usually quite large and they make at least 12 cups at a time. This is fine for large groups of people, but it doesn’t really work when you are making coffee only for yourself or for a small family. 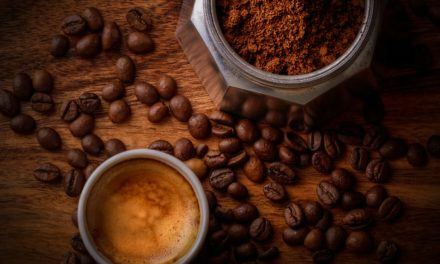 After all, if you are using freshly ground coffee beans, you’ll want your coffee to be fresh too. Luckily, the Viante CAF-50 Grind and Brew Coffee Maker solves this problem by combining compact design and impeccable performance! The Braun KF7150BK Brew Sense Drip Coffee Maker is actually a 12-cup coffee maker, but it comes with a useful 1-4 cup function. This means you can choose whether you want a small batch or a large batch which makes this coffee maker the perfect choice if flexibility is what you are looking for. This coffee machine is a bit more expensive than some other options, but it’s definitely worth the price. Even though it’s a bit larger than other 4-cup coffee makers, this machine will seamlessly fit into a corner on your countertop thanks to the streamlined rectangular design. The glass carafe is fully enclosed within the machine so everything remains nice and tidy. As soon as you look at this unit from Braun, you’ll realize that it has been built with attention to the tiniest details. For example, there is a unique condensation drip tray that keeps any steam that gets out inside the coffee maker. The carafe itself comes with a handle that remains cool to the touch and a sealable lid that keeps the air outside and minimizes oxidation. The lid can also be taken off and you can put both parts in the dishwasher. Talk about easy cleanup! However, the best thing about this machine is definitely the fact that it makes coffee that tastes really nice. Thanks to Braun’s unique PureFlavor system, the temperature and the brewing time are precisely programmed to produce the best results. There is a large LCD screen at the top part of the coffee maker and the interface is quite user-friendly. You’ll get a user manual if you buy this unit, but there is a good chance that you might not even need it. Right under the screen, there are buttons with different settings. You can choose between regular or bold flavor and turn on the 1-4 cup feature. Best of all, you can prepare the coffee maker in advance and set it up to make coffee at the desired time up to 24 hours in advance. Who doesn’t want to wake up with a fresh pot of coffee waiting? Finally, this coffee maker also features a warming plate with three different settings, so you can get the temperature just right. This unit from Braun really comes with all the bells and whistles that you can imagine on a drip coffee maker. It offers a great deal of flexibility – you can choose how many cups you want to make, how strong the coffee will be, and you can even adjust the temperature of the warming plate. 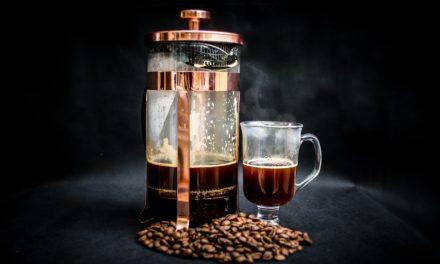 If you like to get creative with your coffee you might want to consider getting a 4-cup steamer instead of a drip coffee maker and this one is definitely among the best you can find. Not only can you enjoy a cup of real dark espresso, but you can also use the milk foamer to make a cappuccino or a latte. Furthermore, your imagination is really your only limit to what you can do with this espresso maker. Mix your espresso shot with crushed ice and make a frappe, or try experimenting with your favorite syrups or whipped cream. Overall, this espresso machine performs quite well even though it’s rather small. It comes with a glass carafe that holds up to 20 ounces of coffee and has a cool-touch handle. There is a heavy-duty gasket on the top to keep the steam in. Furthermore, nozzle and the drip tray are removable which makes cleaning much easier. A measuring scoop is also included. Finally, you get a 1-year limited warranty when you purchase this unit. Who said you have to spend a lot of money in order to make high-quality espresso in your home? With this small but powerful steamer, you’ll have everything you need right at your fingertips. Definitely a good choice for those who prefer espresso over regular coffee. This piece from Bodum is not your regular coffee maker. There is no timer and it will not brew your coffee by itself, but it will definitely allow you to make coffee that tastes amazing! If you enjoy giving a personal touch to your cup of joe, you should definitely try this pour over coffee maker. What we liked the most about this coffee maker is the elegant streamlined design. This simple coffee maker basically consists of a glass carafe and a reusable filter. You can choose between a cork band and a silicone band that goes around the carafe and remains cold to the touch, so you can pour your coffee easily. The cork band looks really classy, but if you opt for the one made of silicone you’ll be able to choose between four different colors. The Bodum Pour Over Coffee Maker actually comes in 4 different sizes. The smallest one makes 17 ounces of coffee, which equals four 4-ounce cups. However, if you want to get 4 large cups out of your coffee maker, we recommend the 34-ounce version. So how exactly does it work? First, you’ll need to place the coffee grounds in the filter, just like with any other coffee maker. For best results, the coffee needs to be coarsely ground. The filter is made of rust-resistant stainless steel mesh which means it will last virtually forever so there is no need to use paper filters. However, you can also use a standard paper filter if you don’t want to deal with washing the reusable filter every time you want to make coffee. Once the coffee grounds are ready, you’ll need to get some hot water and simply pour it over. 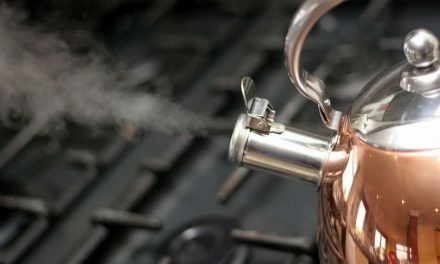 For best results, pour a small amount of water first and wait for 40 – 45 seconds or until the coffee soaks up the water. Pour the rest of the water over slowly, and wait for the coffee to drip down. The whole process lasts about 4 minutes. Easy cleaning: all parts are dishwasher safe. You don’t need to use paper filters which means less waste! If you were thinking about trying the pour-over coffee method, this is definitely the right coffee maker for you. It’s simple, functional, and durable, but most importantly, it makes a great-tasting cup of coffee thanks to the stainless steel filter. 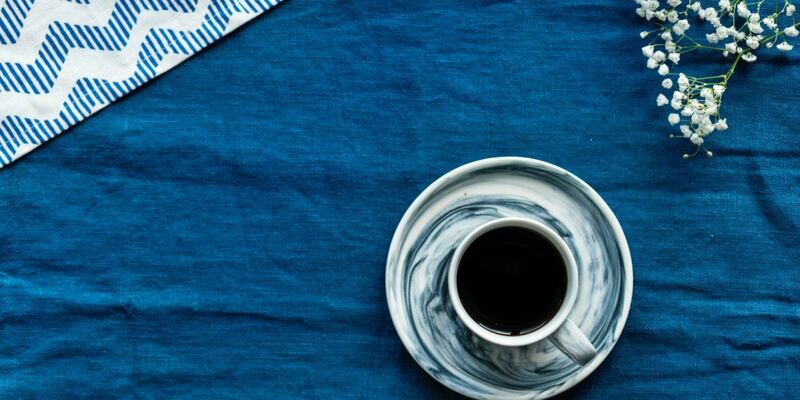 Paper filters actually soak up the aromatic oils from the coffee, but this reusable filter leaves them intact so you can enjoy the subtle flavors in your morning cup. Where will you use your coffee maker and how much space do you have available? If space is tight, looking for a coffee maker with a small footprint always makes sense. In that case, the Cuisinart DCC-450BK 4-Cup Coffee Maker with Stainless-Steel Carafe might be the perfect one for you. It has a very small footprint so it fits on virtually any counter. On the other hand, the Bodum Pour Over Coffee Maker is cool because it doesn’t need electricity and you can store it away when not in use, but it does require a bit more time and effort for you. That brings us to our next question: Is convenience the most important thing for you when making your coffee or do you like to take your time and enjoy the ritual? Drip coffee makers are certainly the most convenient, and if you choose one that is programmable, like Braun KF7150BK Brew Sense Drip Coffee Maker, you can prepare them ahead and have your coffee ready in the morning. On the other hand, if you’d like to have a bit more control over the flavor of your coffee, you could choose the pour over maker from Bodum or even an espresso machine. Finally, if you want to get the absolute best out of your coffee, you’ll need to have the beans freshly ground. If this is the case, you’ll certainly fall in love with the Viante CAF-50 coffee maker and grinder. Whatever you choose, we hope this guide has been helpful!